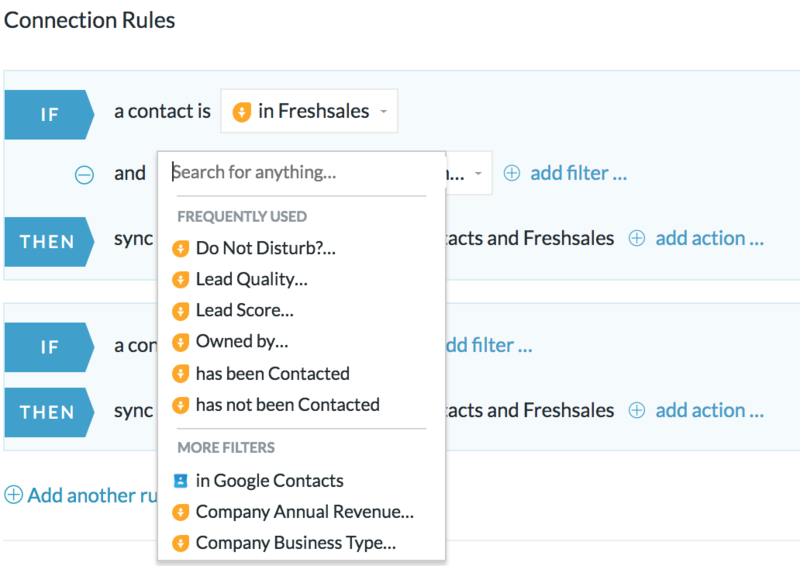 Freshsales is a full-fledged customer relationship management tool made for high-velocity sales teams with lead management and contact management with features such as built-in phone, integrated email, user behavior tracking, deal management, reporting and more. For Freshsales, we need your API ID and API key: you can find both under 'settings' - ‘Freshsales API’ within your account. API access is available for all Freshsales users. If you already authorized Freshsales in the past or in any other PieSync integration, you'll be able to skip this step and choose from your CONNECTED ACCOUNTS. Freshsales contact records offer ample fields to store contact information. Depending on the other app you're syncing with, a default mapping is proposed. This could look like this, on the left, Freshsales, on the right, Podio.If you are expecting some Freshsales CRM fields to appear here and they are not, it is likely the other app does not support this field by default and they will have to be custom mapped. This feature allows you to create custom mappings, defining which contact fields should be kept in sync between your applications, including standard and custom fields. 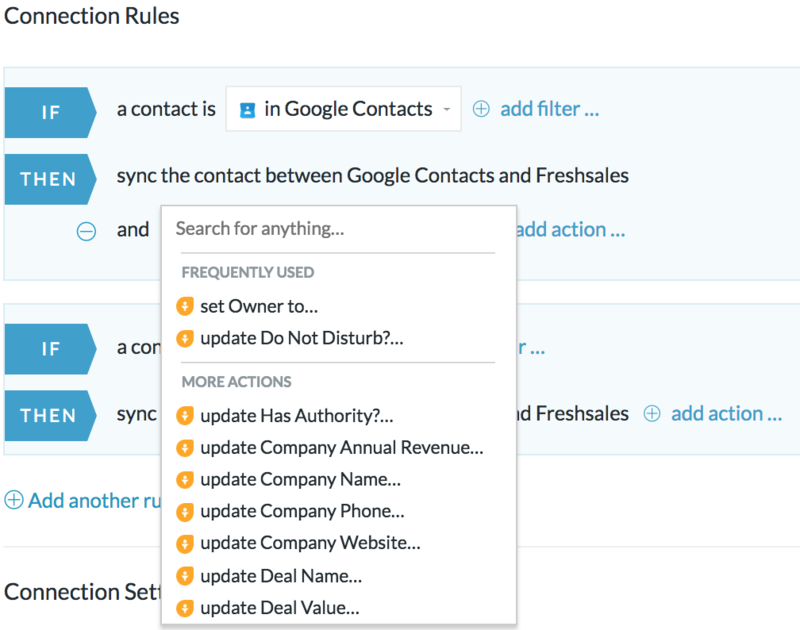 Want to know more about setting up custom fields in Freshsales? Find out here! The customizable field mapping is set up and shown in the white part below the default field mapping in the configuration. You can add an unlimited amount of mappings and remove, enable/disable them anytime. 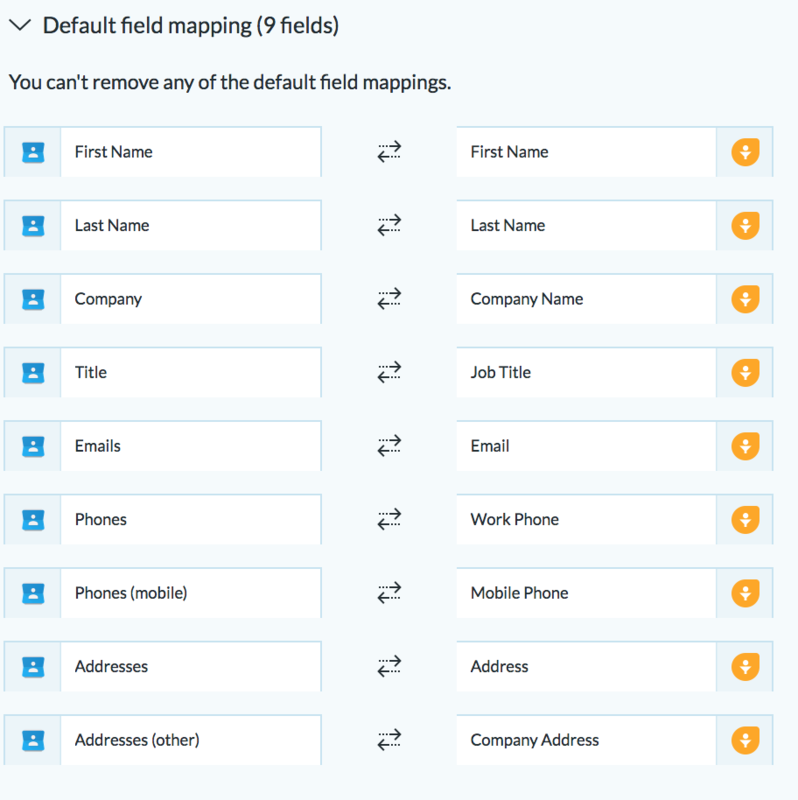 More information on Customizable Field Mapping. For the time being, our unsubscribes/deletions sync is not supported for Freshsales. The availability of the feature to subscribe or sync deletions is app and connection dependent. We need to be able to detect deletions or unsubscribes on one side and at the same time be able to create add the tag 'PieSync Trash' or 'PieSync unsubscribe' on the other side. More information on syncing deletions with other integrations, or on syncing unsubscribes.